Relic's popular RTS is going to be remade, and developer Gearbox Software has revealed more details on its plans to bring the franchise back to life. Fans of the Homeworld franchise have been waiting for news on what was happening with series after Gearbox Software acquired the rights from THQ in April 2013, after the publisher went bankrupt and was sold off in pieces. By July, Gearbox was promising to be faithful to Homeworld and Homeworld 2 when it created HD remastered editions. Now, Gearbox has taken the wraps off the official site. 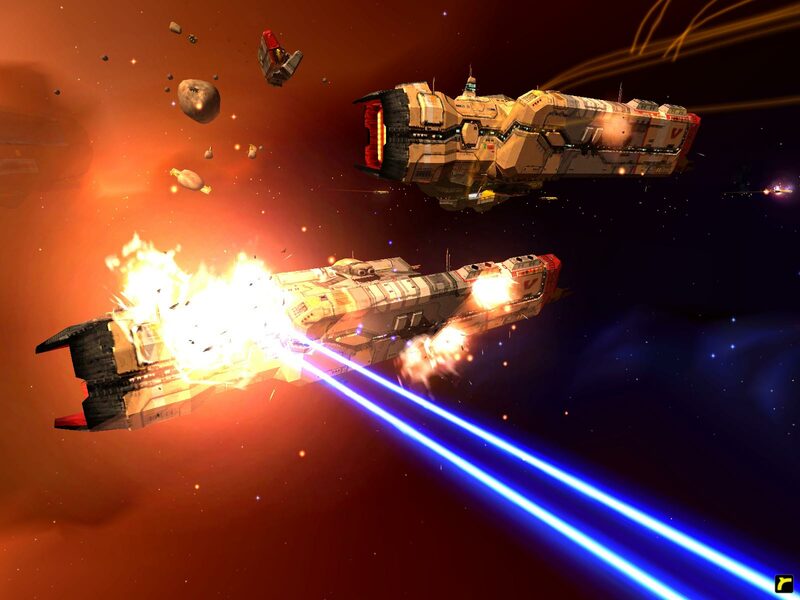 The developer has launched a Homeworld Remastered, which promises more than just a re-release of the games. Updated high-res textures and models will be used, as well as "support for HD, UHD and 4K resolutions." Gearbox is also involving getting Homeworld's original audio and video developers to recreate the cinematics in higher quality. The mod community is also being involved, since the source code for the game was release to the public soon after the sequel was released in 2003. The source audio from both games will be used and Multiplayer from both games will also be combined. Gearbox has said previously that it would integrate Steamworks features like matchmaking, achievements, and user-created mods, likely via Steam Workshop. Gearbox plans on offering a collector's edition for the remastered version for anywhere between $75 to $100, depending on which replica of the Homeworld Mothership is included. The developer has been gathering feedback from fans for months, and continues that on the new web site. Fans are being asked to vote for a 6-inch zinc alloy replica with a brushed metal finish -- the cheaper version -- or a 12-inch model made of ASB resin, complete with LED lights and a power cord. The collector's edition would also include "other memorabilia such as an art book, game manual, key chain, and game codes." Of course, as with any plans in advance, the contents are subject to change. You can cast you vote at the bottom of the Homeworld Remastered page. Conspicuously missing from the details is any mention of Homeworld Catacylsm, which was released by Barking Dog between Homeworld in 1999 and Homeworld 2 in 2003. Cataclysm takes place 15 years after the first game. Hopefully, there may be a few bonuses and new content included in the new edition, similar to what Beamdog did with Baldur's Gate: Enhanced Edition and Baldur's Gate 2: Enhanced. Either way, fans will be happy to get aboard the Mothership once more to lead the Kushan on their quest for survival.